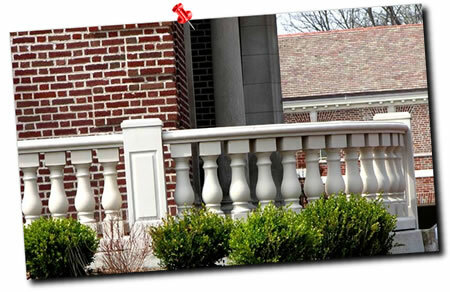 In the price table, the images shown are standard pattern balusters. 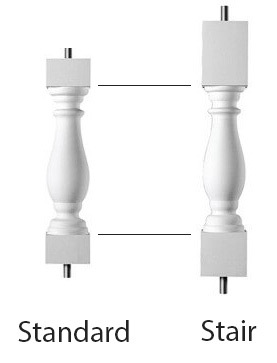 The items without an image are "Stair" balusters. 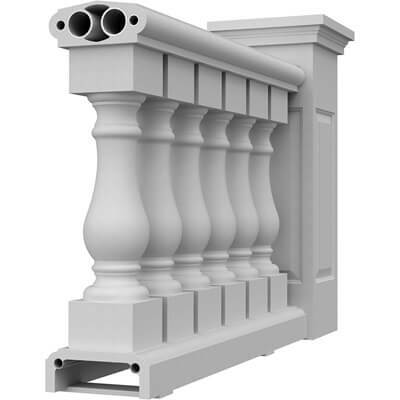 The square block at the top and bottom will be longer than standard baluster to accomodate the angle of a staircase. 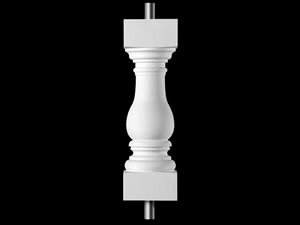 Stair balusters match up standard baluster by name and number. For example Royal Georgian 0205 matches Royal Georgian Stair 0205-S.